Saturday the 20th of June saw a great celebration for an accomplished age. 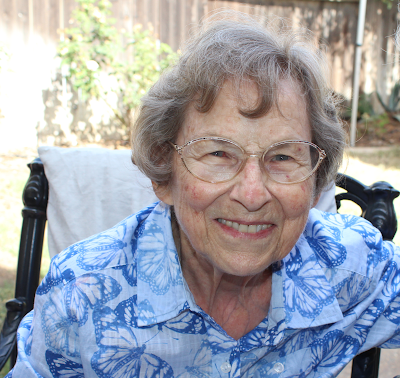 Family from far and near gathered to pay tribute to Marjorie Neely who has turned ninety. 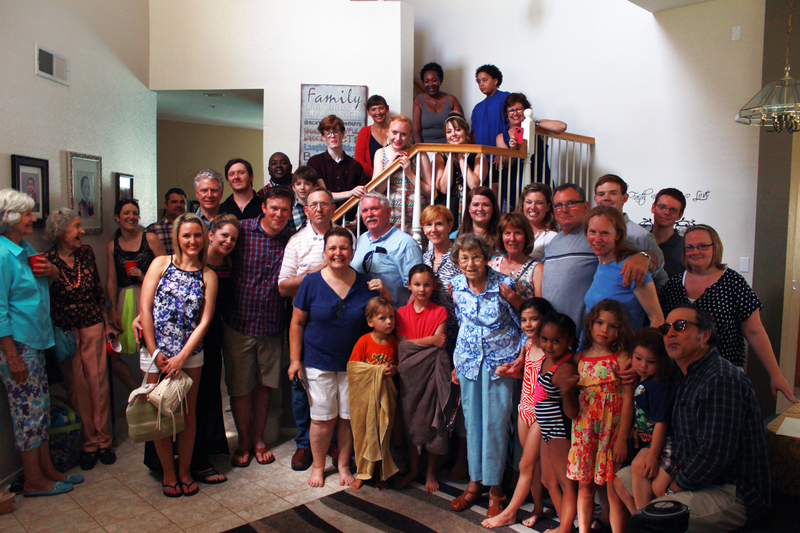 All her children, Dan from Montana, Richard from Oregon, John from Florida, Paula from Santa Cruz, Nancy from Los Angeles and Jenny from Redding, Northern California, converged on her grand daughter Christine's home in Woodland just north of Sacramento. What a throng with grandchildren all around! The drums were throbbing and their was singing and even a poem specially written for the occasion. Dressed in blue and surrounded by love, it was a grand occasion. I’m just a son in law. Without a card or letter. They’ve traveled to be here. Of the times we love her for. And for Scotland flew away. In car and train and plane. ’s’a truth I cannot hide. And e-mail like you do. And give Grandma a kiss. In that big living room. To bow our heads and pray. She asks God for his care. And thank Him that she’s there. But what a glowing page. So let’s give her a hand! Implants are a wonderful innovation, we use them in dentistry to replace missing teeth. For those who do not want implants, or do not have the bone to place implants the precision attachment partial is often and extremely viable alternative. 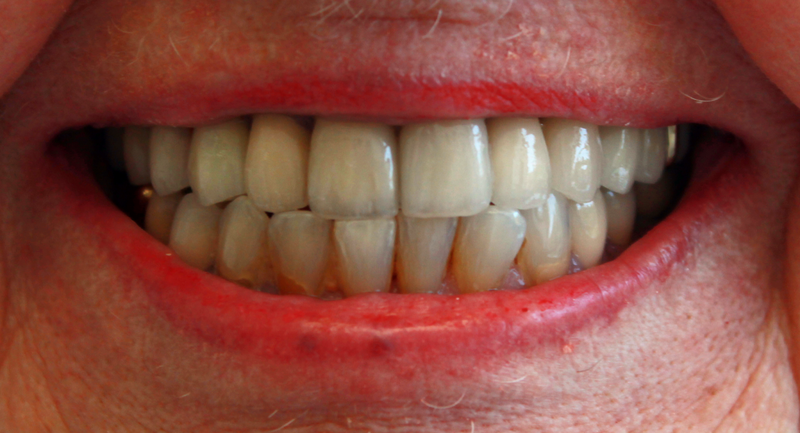 It is possible to make partial dentures that do not show in the smile, which can restore the function of the mouth. Furthermore it is possible to design and provide such treatments in a month. A great time saving. Remember, implants frequently require bone grafts to support them which take three months to organize into solid bone, and then the implant itself can take three to six months to integrate before it can be finally restored. Precision attachments are an excellent alternative if you have some well supported teeth which can be used to support them. Here is an example of missing teeth in the upper jaw being replaced with a precision attachment retained removable bridge. This extraordinary crown and bridgework was engineered by Renzo Casellini at Swiss Quality Dental implant Studio, with whom I have had the pleasure to work since 1976. So if you are someone you know needs advanced restorative dentistry consider send them to me for a review. I have been making smiles functional and beautiful in Hollywood for nearly forty years.